On the outbreak of the American Civil War, 313 officers left the United States Army to join the Confederate Army. President Jefferson Davis called for 82,000 volunteers but this was clearly not enough and in August, 1861, the Confederate Congress authorized the recruitment of 400,000 men. It was the responsibility of the individual states to recruit these men. At the beginning of 1862 Davis announced that the South could not win the war without conscription. In April, the Confederate Congress passed the Conscription Act which drafted white men between eighteen and thirty-five for three years' service. In the Confederate Army all officers below the rank of brigadier were elected by the troops. There were no medals awarded as it was claimed they were all heroes and it would be wrong to single anyone out. The highest honor was to be mentioned in dispatches. Some soldiers in the Confederate Army was willing to defend the South from the Union Army but objected to offensive operations. When Robert E. Lee decided to take the war to the north in the summer of 1863, an estimated 50,000 men deserted. This number increased after the defeats at Vicksburg and Gettysburg. By the end of the war there were an estimated 100,000 deserters at large in the South. A total of 1,406,180 men enlisted in the Confederate Army during the war. An estimated 52,954 men who were killed in action, 21,570 died of their wounds and 59,297 were the victims of disease. At the end of the war 174,223 men surrendered to the Union Army. A part of the men of the 27th Regiment, in the Stonewall Brigade, who had volunteered for twelve months, now found their year just expired. Assuming that the application of the last conscription act was a breach of faith to them, they demanded their discharge, and laying down their arms refused to serve another day. Their Colonel, Grigsby, referred the case to General Jackson for instructions. On hearing it detailed, he exclaimed, his eye flashing, and his brow rigid with a portentous sternness, "What is this bit mutiny? Why does Colonel Grigsby refer to me to know what to do with a mutiny? He should shoot them where they stand." He then turned to his adjutant, and dictated an order to the Colonel to parade his regiment instantly, with loaded muskets, to draw up the insubordinate companies in front of them, disarmed, and offer them the alternative of returning to duty, or being fusiladed on the spot. The order was obeyed, and the mutineers, when confronted with instant death, promptly reconsidered their resolution. 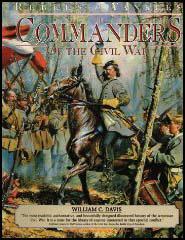 (2) John Worsham wrote about his experiences in the Confederate Army under Thomas Stonewall Jackson in his book One of Jackson's Foot Cavalry. One afternoon the whole division was ordered out to witness the execution of three Confederate soldiers from, another division. They were to be shot for some violation of the laws of the army. The division formed three sides of a hollow square, the forth being open. Three stakes were fixed in the ground about the centre of this open side. Soon after our formation, an officer and a guard appeared with the prisoners. The condemned were made to kneel with their backs to the stakes to which they were securely tied. The guns had already been loaded. It is said that six had balls and six did not - so no man would know whether he killed one of the prisoners. The twelve men took their places about thirty feet in front of the three prisoners. The order to fire was given and, at the report of the guns, two men were killed - the balls going through each. The third man, while shot, was not killed. One of the detail was ordered to place another gun against the man's breast and to fire. The shot killed him instantly. Once on the march, fearing lest his men might stray from the ranks and commit acts of pillage, he had issued an order that the soldiers should not enter the private dwellings. Disregarding the order, a soldier entered a house, and even used insulting language to the woman of the family. This was reported to Jackson, who had the man arrested, tried by court-martial, and shot in twenty minutes. 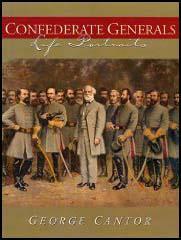 (4) John Worsham served under General Thomas Stonewall Jackson. 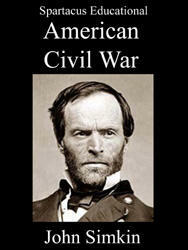 After the war he explained how the Confederate Army was always short of weapons. At the commencement of the war, the Southern army was as poorly armed as any body of men ever had been. In the infantry, my own regiment as an example, one company had Springfield muskets, one had Enfield, one had Mississippi rifles, the remainder the old smooth bore flint-lock musket that had been altered to a percussion gun. The cavalry was so badly equipped that hardly a company was uniform in that particular; some had sabres, nothing more, some had double-barrel guns, some had nothing but lances. It did not take long for the army of Northern Virginia to arm itself with better material. When Jackson's troops marched from the Valley to Richmond to join Lee in his attack on McClellan, they had captured enough arms from the enemy to replace all that were inferior, and after the battles around Richmond all departments of Lee's army were as well armed. (5) General Oliver Howard of the Union Army summarized the state of the Confederate Army after the battle of Chancellorsville in May, 1863. We could gather little hope from the splendid condition of Lee's army. It had been reorganized. Its numerous brigades were grouped into divisions and the divisions into three army corps, and cavalry. Stonewall Jackson, it is true, was no more, but the three lieutenant generals - Longstreet, A. P. Hill, and Ewell - were not wanting in ability or experience. They were trusted by Lee and believed in by the troops and people.